Private investigators are the professionals that may sometimes called upon to identify, isolate and recover digital information to be used as evidence in civil trials. Apart from expertise in ground investigations, AKG’s range of services include Cyber Forensics in Singapore. The term “forensics” means to bring to court or to use in a legal proceeding. 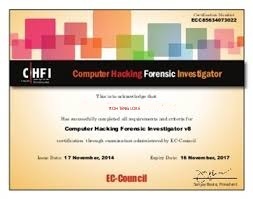 As such, computer forensics investigator jobs in Singapore involve collecting, analyzing, and presenting computer evidence to the court. This field may involve recovering digital evidence on computer-related crimes, such as hacking and identity theft, or it may involve recovering digital evidence and communications related to non-computer crimes. AK Global use a number of techniques and forensic software applications to search for hidden information and deleted, encrypted or damaged files. All recovered and collected evidence is verified for litigation purposes. AK Global act in accordance to Computer Misuse Acts.